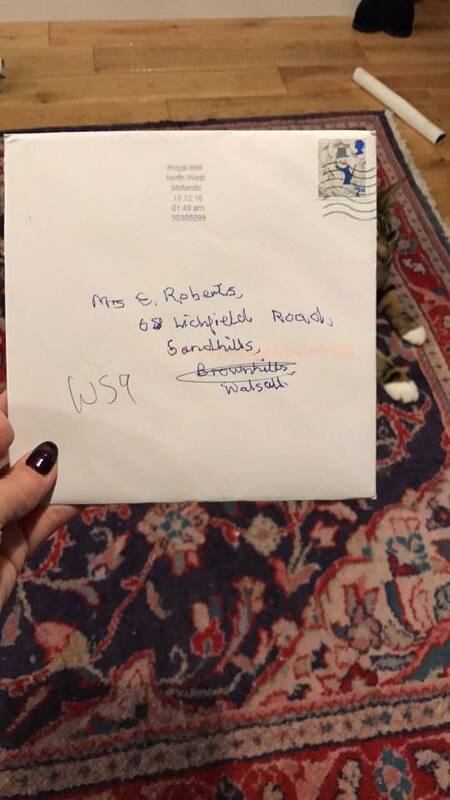 I’m pleased to note that after posting about Ray Johnston’s misdelivered Christmas card conundrum at the weekend that the intended recipient – who actually was on Chester Road at Shire Oak – has been located thanks to the efforts of readers and other on social media. 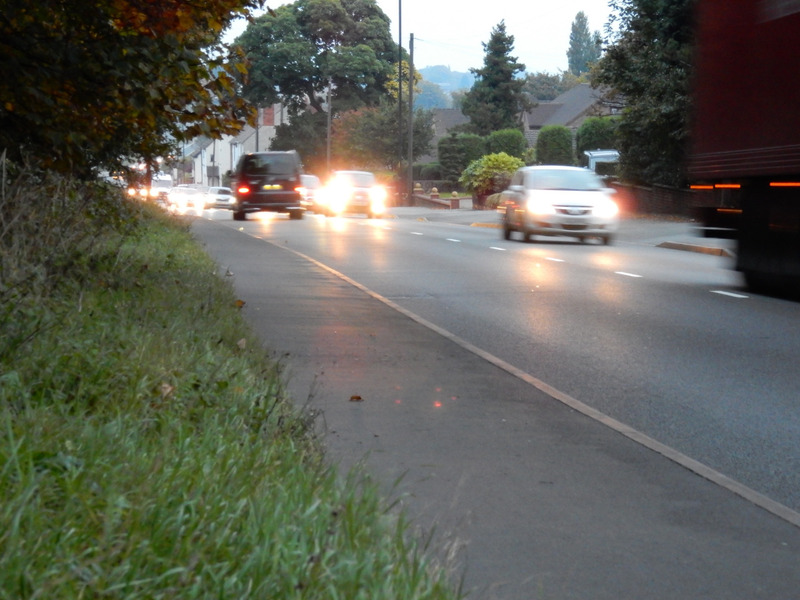 Road accident on Lichfield Road, Shire Oak – can you help? 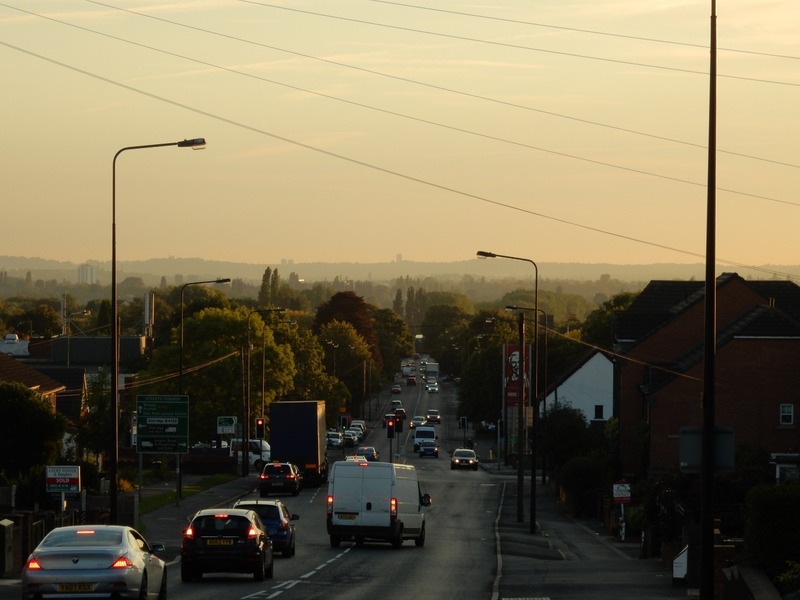 Yesterday afternoon (Saturday, 24th October 2015), there was a serious accident on the A461 Lichfield Road, Sandhills, north east of Shire Oak – I believe the incident to have been around the Cartersfield Lane junction. 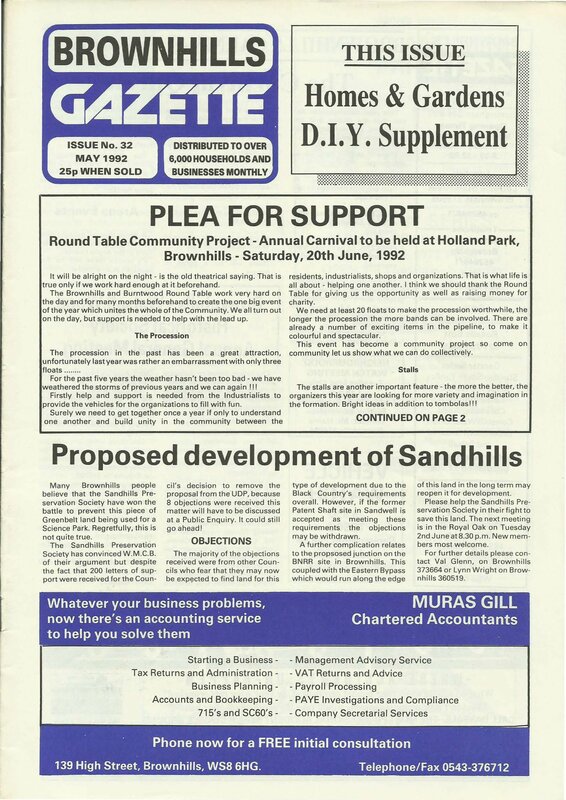 Continuing the scans of the Brownhills Gazette – I present issue 32 of the long lost freesheet, from May 1992 for you to peruse and download. 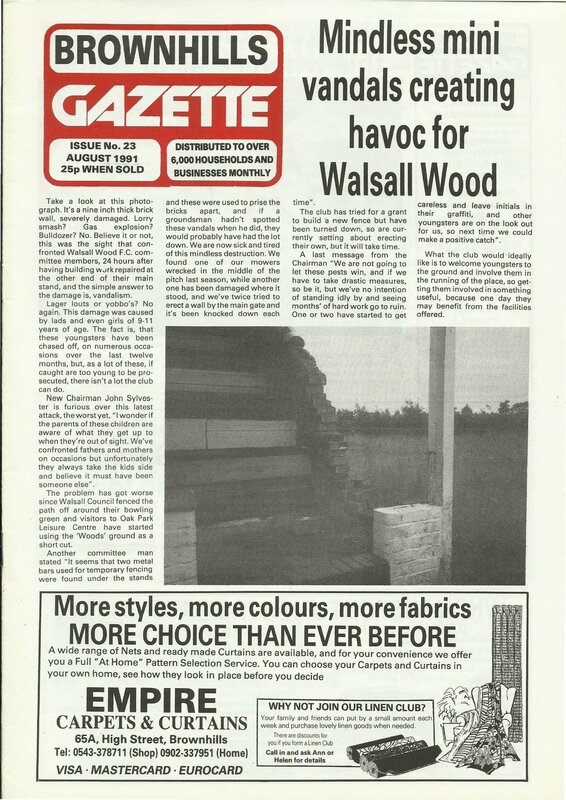 I’ve had an incredible response to featuring these long, lost publications here on the blog. 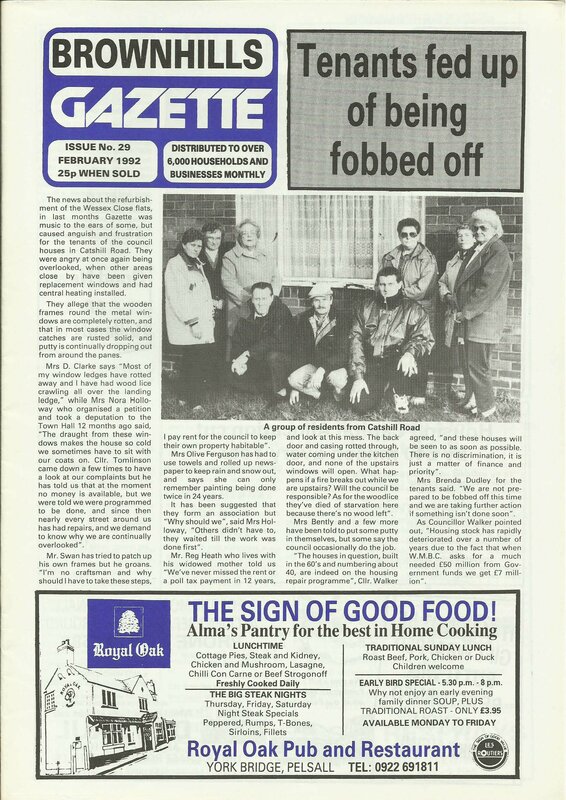 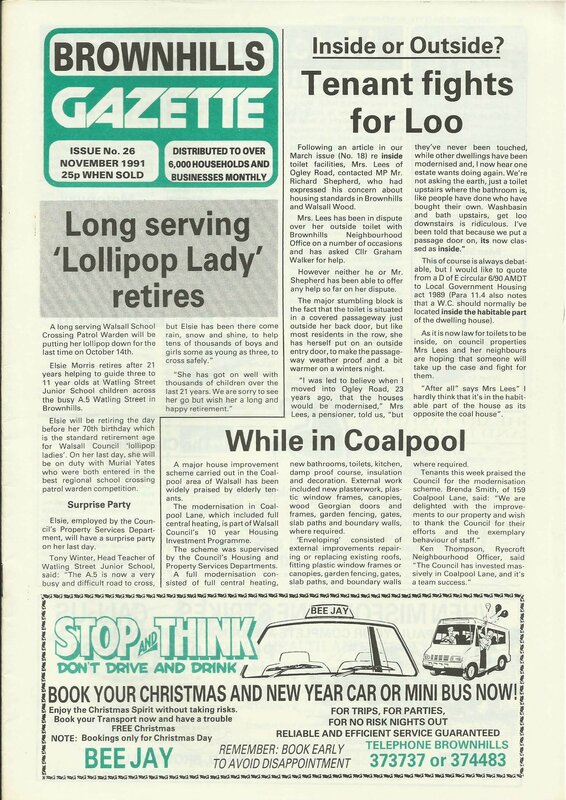 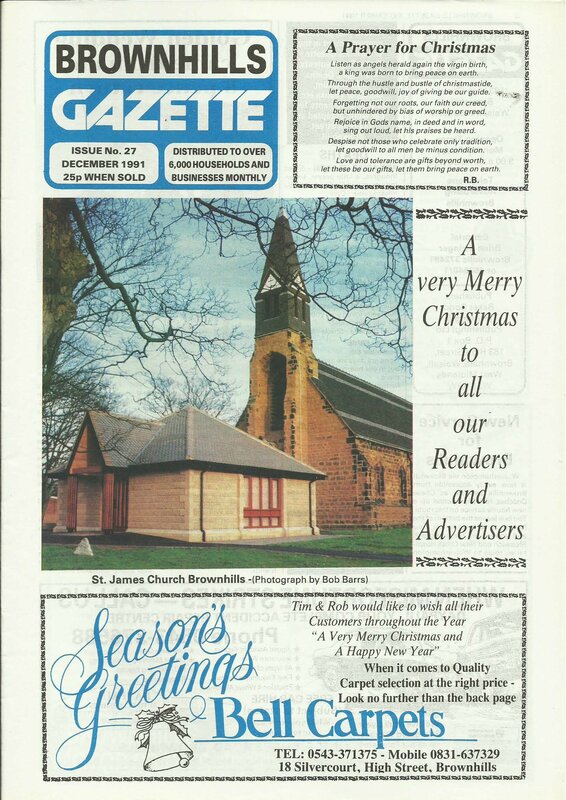 Continuing the scans of the Brownhills Gazette – I present issue 25 of the long lost freesheet, from October 1991 for you to peruse and download – I’ve had an incredible response to featuring these long, lost publications here on the blog. 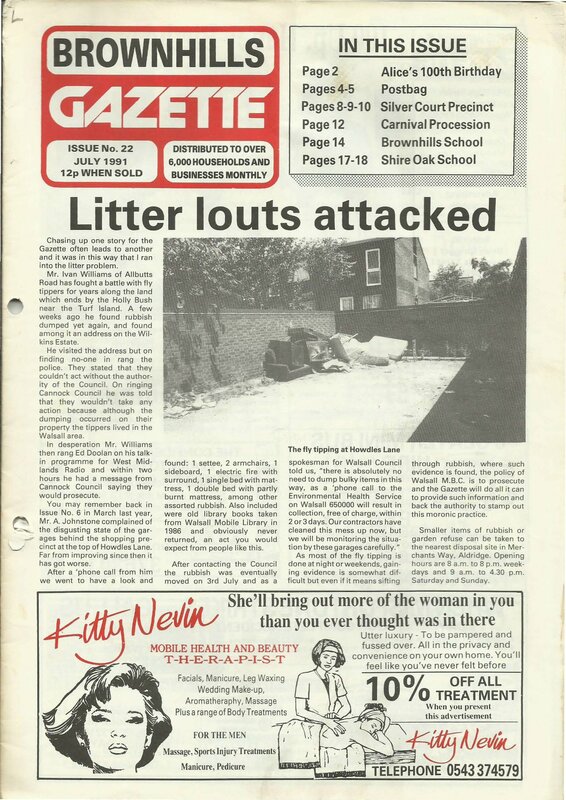 Continuing the scans of the Brownhills Gazette – I present issue 22 of the long lost freesheet, from July 1991 for you to peruse and download. 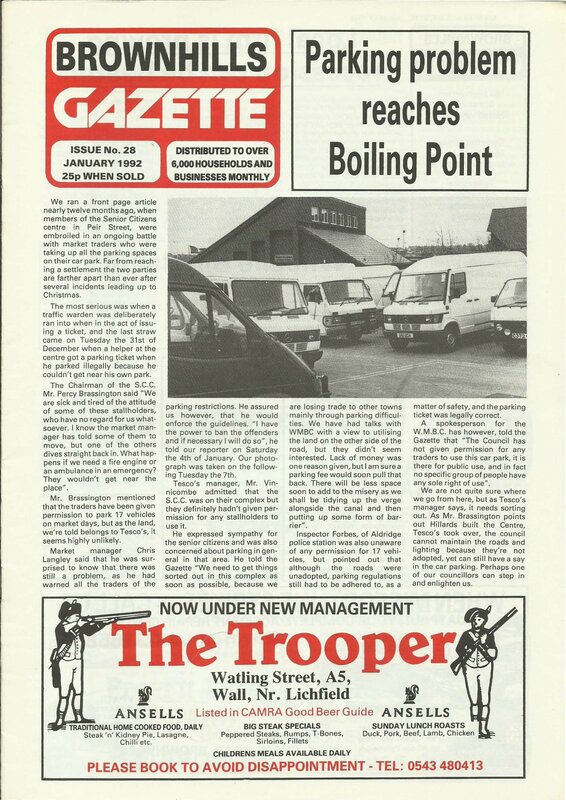 I’ve had an incredible response to featuring these long, lost publications here on the blog. 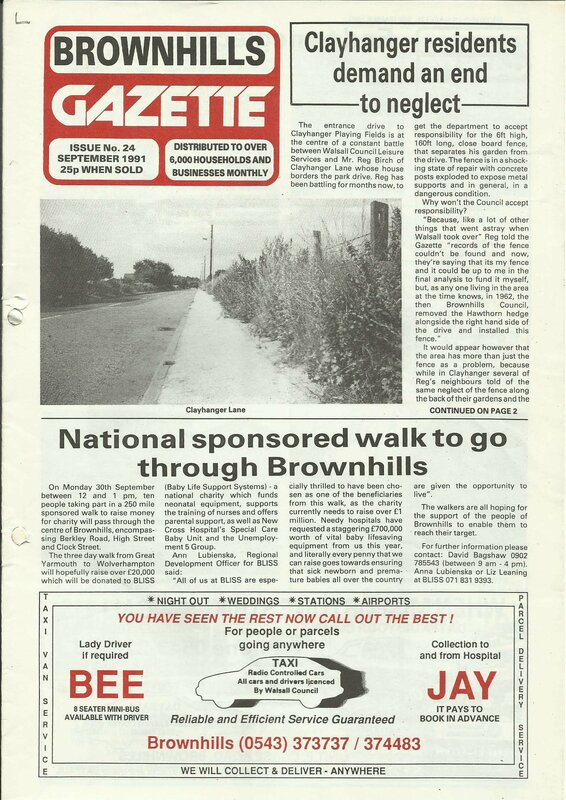 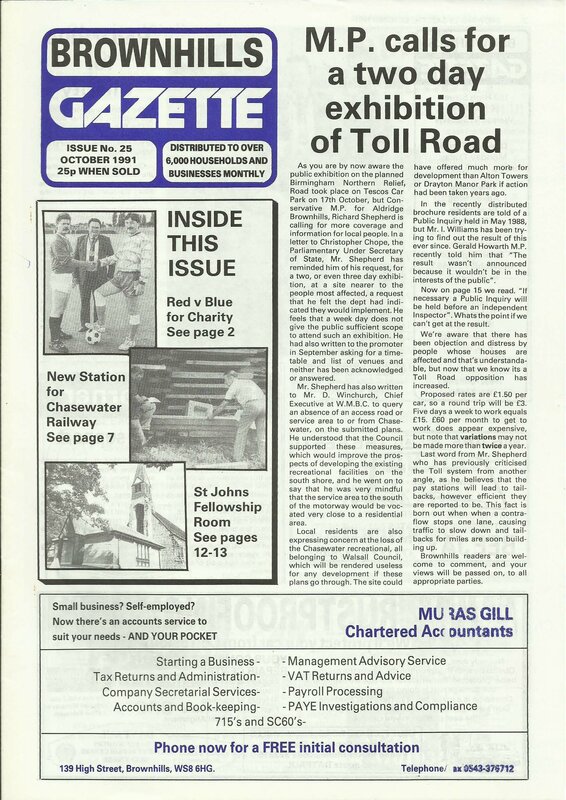 Continuing the scans of the Brownhills Gazette – I present issue 23 of the long lost freesheet, from August 1991 for you to peruse and download. 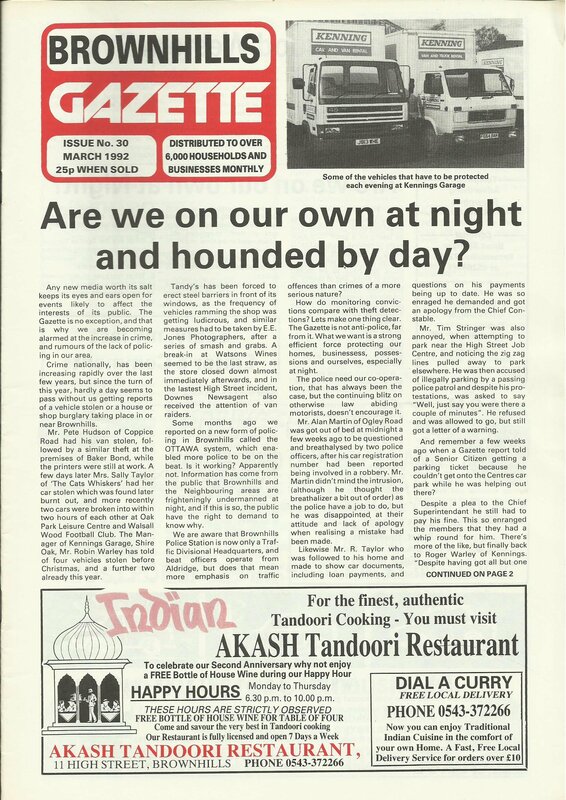 I’ve had an incredible response to featuring these long, lost publications here on the blog. 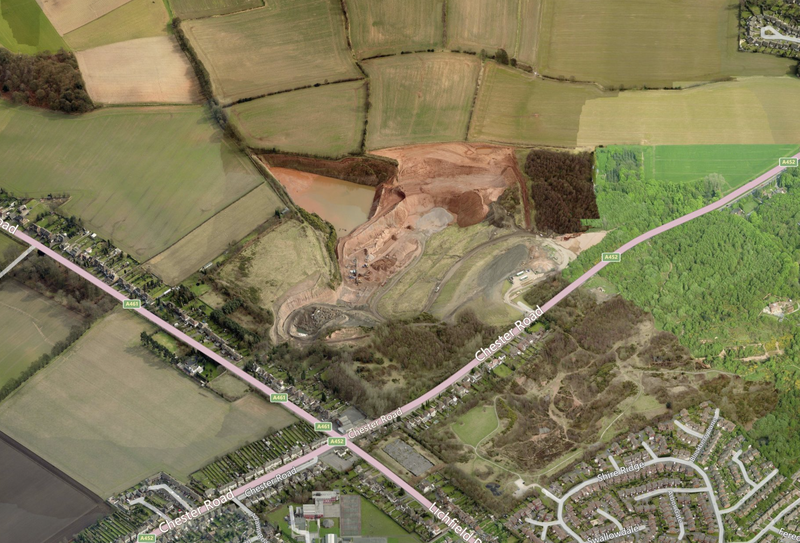 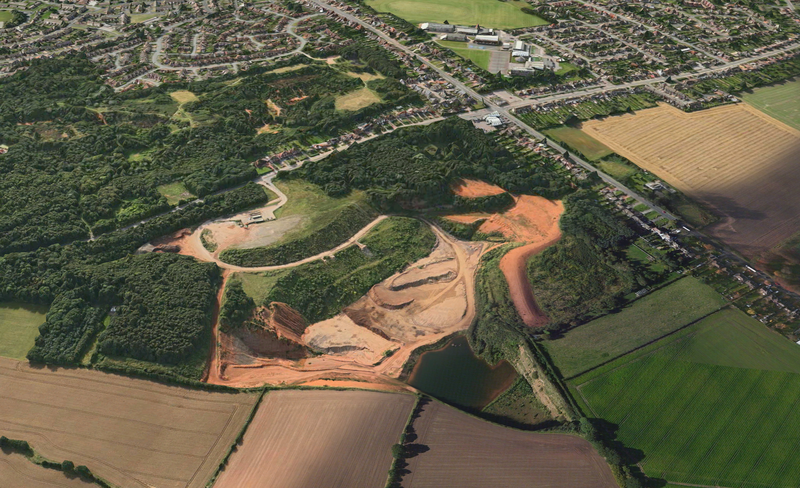 Heads up folks – here’s one I overlooked, but there’s still time to act as responses to the Sandhills Quarry inclusion in the Staffordshire New Minerals Local Plan closes on Friday 5th December 2014 – but it’s easy to respond online, and you can do it right now.